■ creative description: Touched in life Because just met you It's beautiful to have your footprints together A bouquet of long-standing star flowers In the coming days Let us once again make a beautiful waltz ■ Size: about 31X17cm ■ How to use: Keep the flowers dry to avoid damp, direct sunlight. No need to water. ■ Maintenance: If the surface of the dried bouquet is dusty, use a soft brush to gently wipe it. Pre-purchase caution matters: 1. Dry flowers Please be placed in a dry and ventilated environment, to avoid moisture and affect the shelf life (about a year of normal preservation). 2. 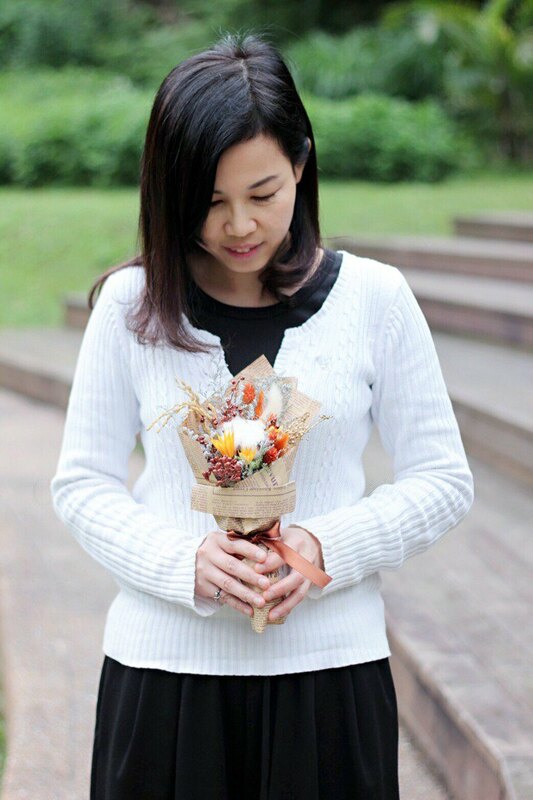 Dry flowers are made from natural dried plants, so each flower color and attitude are different. 3. Flowers are also seasonal products, so some of the flowers will be slightly adjusted because of seasonal production, mind do not order. 4. Dry flowers are natural dry therefore, more fragile; in the delivery process will inevitably fall bud phenomenon, it is recommended to avoid the use of delivery will be shipped. 5.Product pictures will be due to different personal screen devices have color, there are questions welcome message.